So I’ve had my Samsung Gear 360 for nearly 10 months now. I’ve used it a fair bit (although, not as much as I’d like to) and I think I’ve got the hang of how to use it effectively. As you probably know the Samsung Gear 360 isn’t a normal camera; it’s a 360 degree camera and pretty good one at that. Being a 360 degree camera comes with plenty of opportunities to create amazing images and make immersive video, however it also presents some challenges that you probably haven’t come across before. 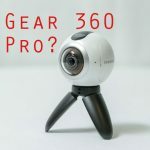 So to save you some frustration in the future, and to ensure you get the best out of you camera, here are my 8 tips for using the Samsung Gear 360 effectively. If you own a different brand you should still read on because these tips apply universally to every kind of 360 camera. 1. Get a tripod that doesn’t have a wide base. The Gear 360 comes with its own mini tri-pod which is great if you have a flat surface like a table to put it on, but otherwise it is limited. To have full control over the height and and position of the camera you need a proper full height tri-pod. Now you may already own one of these and it will certainly work with the Gear 360, however if your tripod has a wide base or a lot of sticking out parts at the top you may notice an issue after taking a few 360 photos. A 360 camera will capture the whole space surrounding the camera, including what is underneath it. If you’re tripod has too much going on at the top or has a very wide base your camera will capture this and it will show in the pciture as a blurred mess. 2. Try and keep yourself and any objects away from the lenses to avoid bad stitching. The Samsung Gear 360 uses two fish eye lenses to capture all 360 degrees of the environment, it then stitches these two images together to create a 360 degree image or video that you can look around. The stitching process isn’t perfect unfortunately and any objects that are close to either of the lenses will likely appear chopped in half. This distortion can be avoided by keeping any objects, including yourself, at least a few feet away from the camera when filming or taking photo’s. It seems the less objects that immediately surround the camera, the better the stitching appears. Here is an example of a 360 image that shows this issue. The image is generally well stitched together, but if you look down you’ll notice the stitching line in the rocks closest to the camera. If I had used a taller tripod this wouldn’t have been as visible. Another issue with stitching occurs when one of the Gear 360’s lenses is exposed to more light that the other. For example if you taking a 360 photo outdoors and one of the camera’s lens was facing directly at the sun, while the other facing into a shadow, one image would appear much brighter than the other and this would make the stictching line (the line where both images meet) very obvious. To avoid this make sure that each lens is receiving roughly the same amount of light, it out outdoor example you would simply need to turn the camera sideways so that each lens was being hit with the same intensity of sunlight. For indoor shoots just make sure the room is generally well lit from all angles, preferably from above. I think a somewhat overlooked feature of the Samsung Gear 360 is its time lapse feature. I think it’s fantastic, you can film a 4k 360 degree time lapse which looks great in the right environment. Just set up your camera, stick it on a tripod and let it film for at least a few minutes. I think these videos will look great when viewed on a VR headset; the world rushing around you in fast motion. 5. You may want to change the automatic timer. My camera has an automatic 3 second timer set for video and photo, meaning the camera would beep 3 times after I had pressed the shutter before taking the picture. This can be useful is some situations but it also lead to a few ruined photos before I realised you could change the timer to zero. This can be done on the camera manually or using the Gear 360 app on a Samsung Phone. 6. You can upload 360 photos straight to Google Street View. The Samsung Gear 360 allows you to link straight to google street view and upload your photo spheres (360 degree photos) straight to google maps. The option of connecting to Google Street View appears in the main menue of the Gear 360 app. Instructions from google to connect to google street view can be seen on this page. Once connected you can upload your 360 photos to google street view and have potentially millions of viewers. Once you have uploaded enough acceptable photo spheres Google may authorise you as an official Google Street View supplier. 7. There are several places to upload and share 360 media, but they are not all equal. YouTube was the first big social site to allow 360 video to be uploaded, but Facebook weren’t far behind. You would expect that uploading a 360 video to either site would result in a similar quality video, not so. For some unknown reason YouTube dramatically alters the quality of your 360 video and also crops it, this results in a lower quality appearance. Facebook, on the other hand, no only leave your 360 video untouched, they also allow you to choose the starting position and input 360 controls to help you guide your audience to interesting points. I’ve also found that kuula.co is one of the best websites for uploading 360 photos, particularly if you want to embed them on a personal website or blog. This advice applies to all 360 cameras, not just the Samsung Gear 360. 8. You will get a lot of weird looks, just smile and nod. The Samsung Gear 360 is a rather strange looking gadget. When you are using it in public people will probably be looking at you wondering what you are doing. I’ve had a few people asking me what that weird round thing is and ‘ve been happy to explain that it is a 360 degree camera (and offer some further clarification on what that means). So if you find people staring at you in confusion, just give a friendly smile and ignore them. If you follow these tips you should be well on your way to creating great 360 degree photos and video with your Samsung Gear 360. If you own a 360 camera and have some other helpful tips, or you want to ask a question about using 360 cameras, feel fee to comment below and I’ll be sure to reply asap. 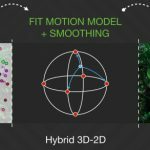 Facebook introduces video stabilization for 360 video - Massive improvement! What was the name/brand of the Tripod you are using for the Gear 360. Please provide the manufacturer name or product number of the tripod you are using with your Samsung Gear 360. I’m currently looking for one like that and have not come across one yet. 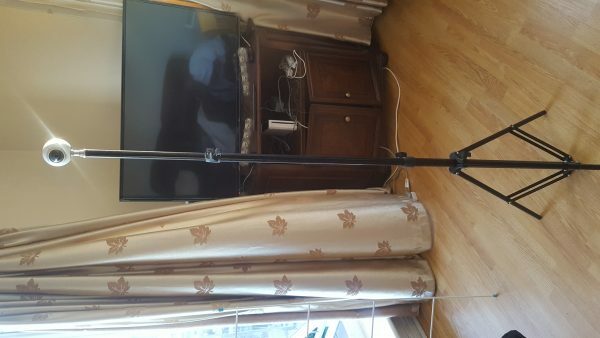 quantum is ok, that tripod is for lighting, when I receive my gear 360 it was the first thing I did, also a teleprompter by stitching the phone on the cardboard near the camera, the camera was in the middle in a hole. so there are more tips, like the rear lens it that view in the center of the video, the starting view, you can change the default position using premiere pro filter offset. Try to put the camera stitching line to something that can’t easy see the bad stitching. Battery life is short, and overheat! try to not waste time, and take out the battery and cool it with hands and blowing, this save time. Also you can’t operate while charging from external battery unless you have a USB dummy cable. The mic is ok, but is better to have an external sound recorder…. do you know how to integrate a new logo or copyright to replace the original samsung logo ? Had my Gear 360 a couple of weeks and these tips are useful. 360 photography and video opens up a whole new perspective which I think you would agree we are all just getting to grips with. But hugely exciting. And especially when the VR headsets and resolution improve so the quality of our pictures can be appreciated! Is there a way to change the interval for the time lapse? I think it is set to 5 seconds – i was wondering if there’s a way to change that to 10 seconds. I want to buy a Gear360 but I want to stitch the videos automatically, without using ActionDirector.